I deleted this app, and I’ve learned you guys are trying to charge me even before my “free trial” was up please stop trying to charge me I don’t want this app and I’m not paying for it. I downloaded and quickly learned it was not what I was looking for. This is ridicules. It also doesn’t help that you make it hard to unsubscribe or cancel. I was hoping this would be a helpful and pleasant app. The app wouldn't do anything until I accidentally agreed with a three day trial which would then charge me after. I deleted the app and looked everywhere on how to cancel so I would not be charged. I cannot find anything and assume I will be charged unknown amount after three days. I feel that I was bamboozled and it is upsetting out of this type of app. How can I get a refund. I did not want this to download on my phone I went to update my phone and it said pending 29.99. I didn’t want to download I was deleting applications. Please help out! $7.99/week?!?!? WHAAAAA?!? 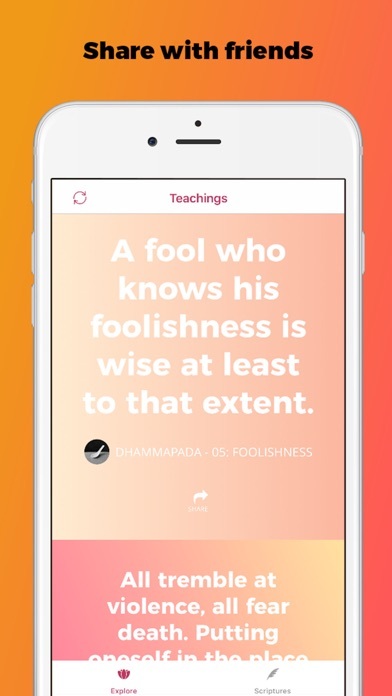 That’s $415/year for free teachings. 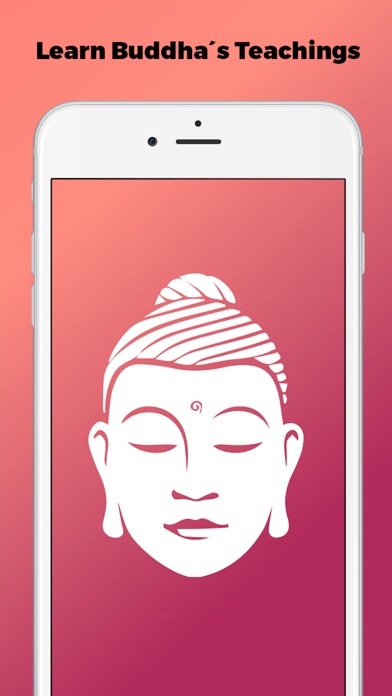 I think this could be an absolutely wonderful app but I, and most people in the world, can’t afford that. Terrible waste of time. Don’t download. 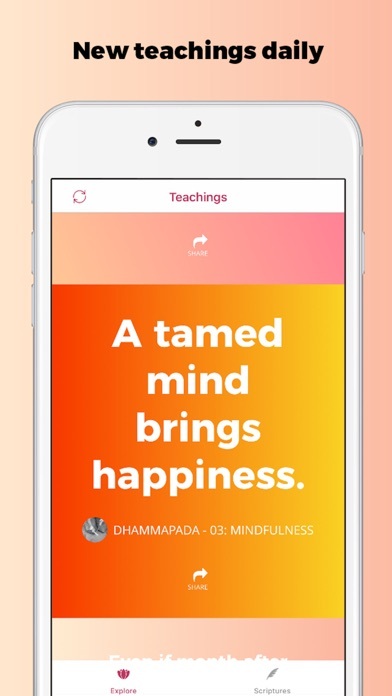 The app is based on a subscription model. Fine. The problem is that upon download you will not even be able to see the content, layout, interface, or anything except the subscription sign up screen. I have have used many subscription based apps, but have never been asked to blindly subscribe, without even seeing the app or sample content. Sure you could use the free trial, but I feel like a good subscription app should at least provide sample content and a basic experience of the service before asking you to commit. Also, subscription price is steep, all the more reason to not go in blindly. APP WILL NOT DO ANYTHING UNLESS YOU PURCHASE SUBSCRIPTION. I noticed that the developer responded to an accurate review with “Dear fellow Buddhist.” How cute. Sorry, you are not a Buddhist – or are in name only. 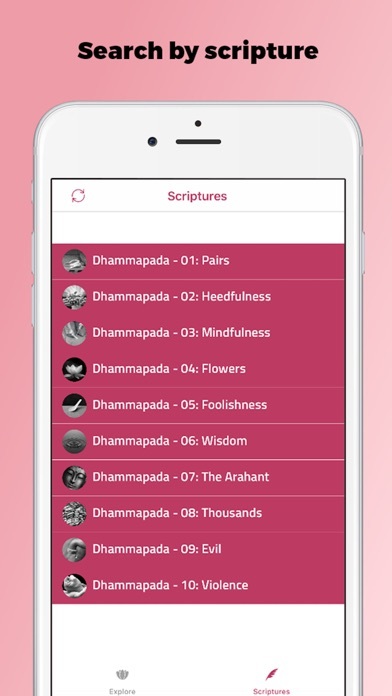 The way this app has been executed is EXTREMELY deceptive and NOT of the Dharma. Just charge for the app. The goal of REAL practice is not to try and become rich by gaming people into a subscription service. Ugh. It reminds me of the bad temples that seem to think dana is mandatory. 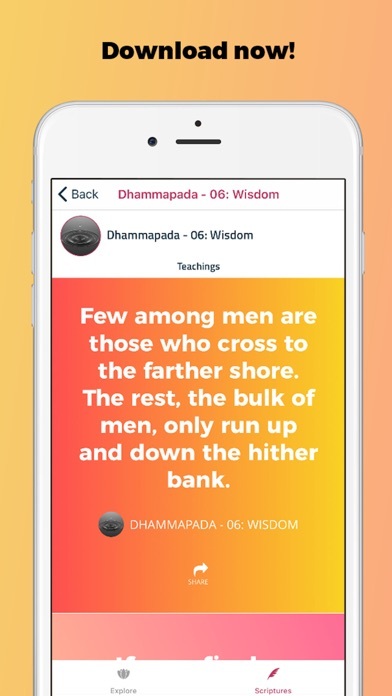 WHY ARE YOU TAKING FREE TEACHINGS OF BUDDHA AND CHARGING PEOPLE $8 TO USE THIS APP??? I cannot even look through the app to see what it is about. The second install was finished trial was offered and if you don’t accept that you cannot even look at the app. Same of many people. Do not download this app. It will charge you $7.99 every week without any authorization and it got you an “automatic renewal” even when you delete the app from your device. Total scam! !